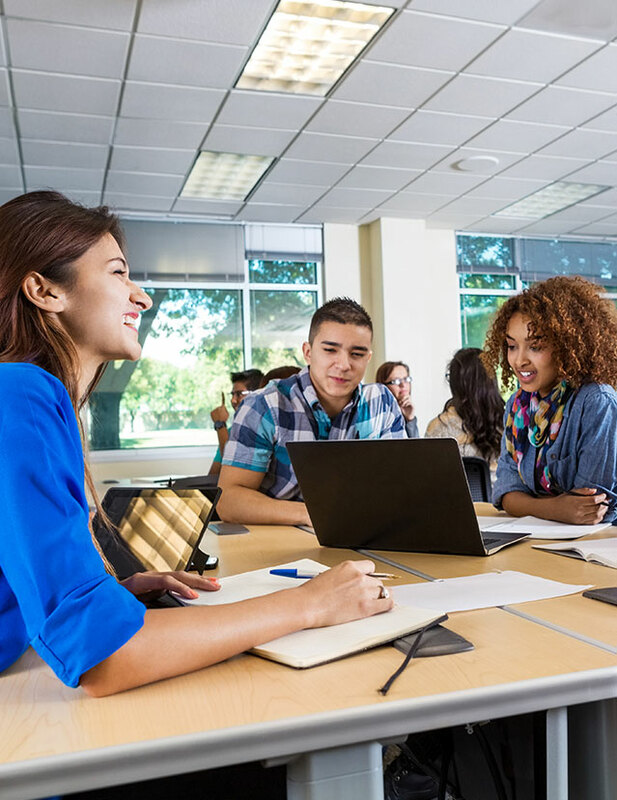 In this guest post, Sheila Baer, Beaufort Music teacher at Union R-XI Schools, shares specific details on how she is implementing leadership in music. 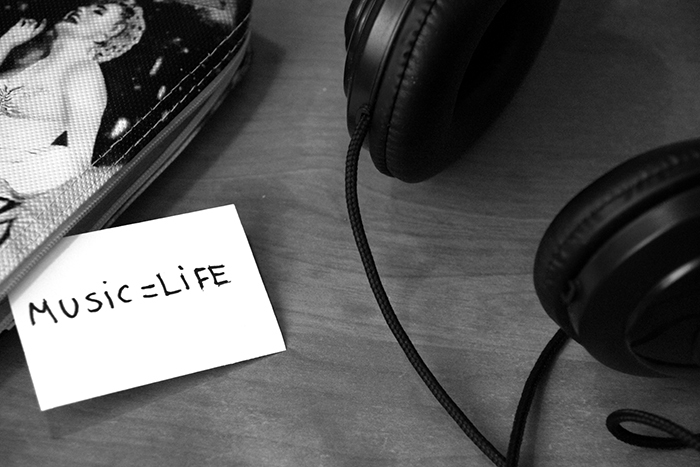 Music is one of those subjects that hits many different content areas. 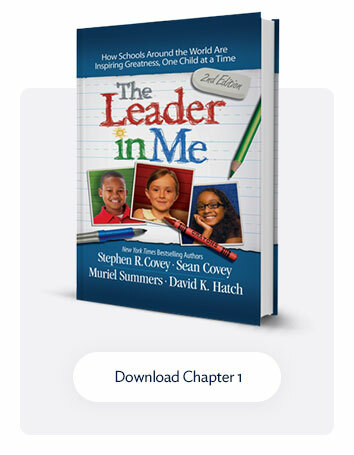 When I attended my first Leader in Me Symposium, my wheels were spinning with excitement. 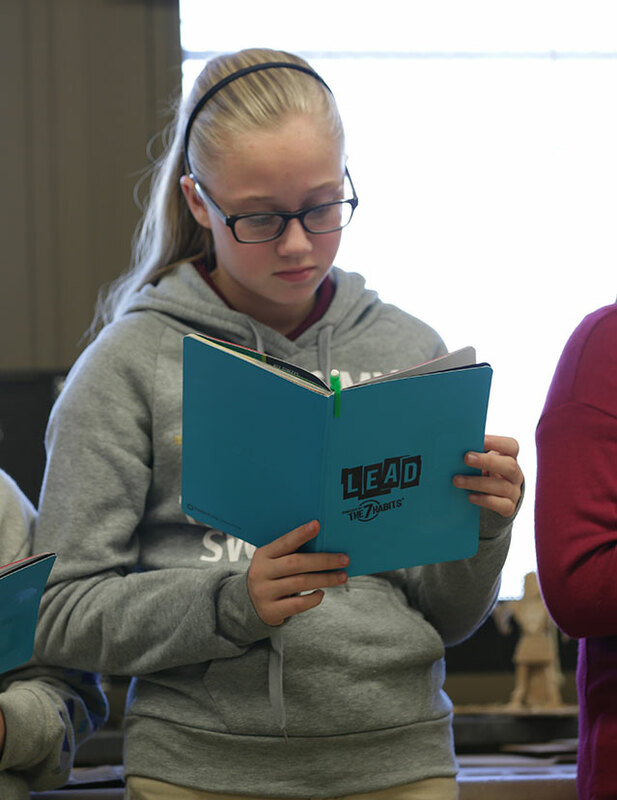 With eagerness, I looked at what my students were already demonstrating in the music classroom, and I realized they were practicing all the principles and habits included in the Leader in Me process. How does this happen and how does one make it work in a music room? Music rooms look different all around the world, but in my room, students are learning that it is essential to be accountable to make great music (Habit 1). When working toward a quality performance, we have a vision and a huge commitment to accomplish the same (Habit 2). We are clear on our priorities and have the discipline and focus for each team member in class, and we all benefit by performing together during this process (Habit 4). Throughout the musical process, It takes a lot of effort from each student to have the courage and respect to listen and understand what each musician is trying to portray. (Habit 5). And, of course, all students, playing their instruments together, can result in making beautiful music (Habit 6). It takes a lot of practice and continuous improvement to get to the final production (Habit 7). What is most rewarding, in my mind, is when students find their voice in the classroom, and I am not just speaking about music (the 8th Habit). Assistant Director (1 per classroom): their role is to check off all students when they arrive and help with any other things I might have. Invitation Designer (2–3/class): design an invitation students may give to family and friends. Program Designer (2–3/class): design a cover to the program. I then copy it in different colors and ensure there are plenty to go around. Stage Crew (5–8/class): students help set up chairs before the performance and also help put them away. These students also help to make sure all the instruments are on stage and put back in my room at the end. 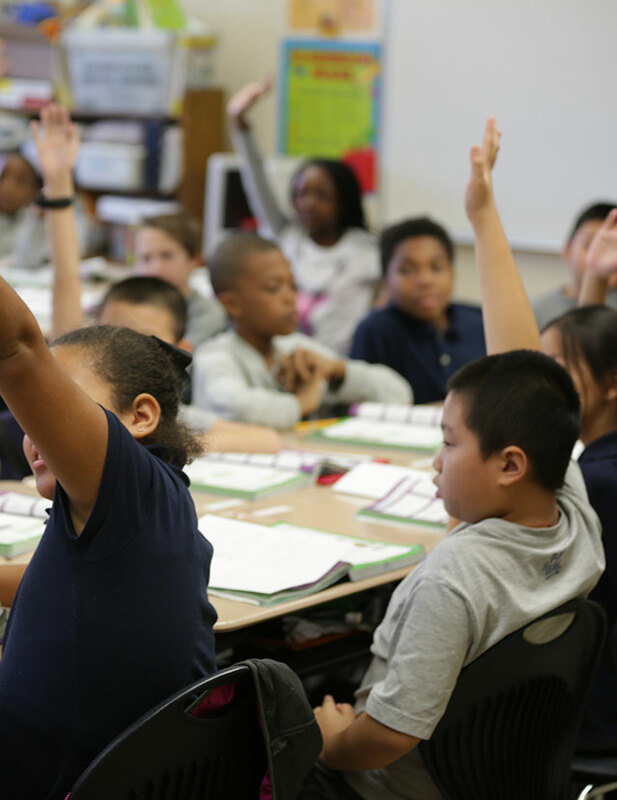 Greeters (4–6/class): students learn how to greet guests and then direct them to the gymnasium. Guests are getting used to this now and enjoy the contact with the students. 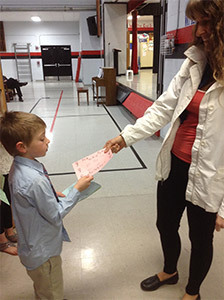 Program Distributors (1–2/class): students take turns giving programs to guests when they arrive at the door. Servers (2–3/class): students help the PTO serve refreshments after the performance at a reception for everyone. These are the basic leadership roles I have found work best for Grades 2–4. I hope to begin using these roles next year in the first grade. When I have fifth and sixth grade, students often find more leadership roles as we are doing more with technology and any other specifics geared directly toward their specific performance. I remember the first performance I attempted these jobs with—second graders. It was three weeks before a performance, and I was determined this was going to work. I had great support from the classroom teachers and the students were willing and ready to work. My shoulders were very tense, but after the performance, guests were very complimentary of the students and their leadership during the performance. I had parents tell me their student never wanted to come to a performance because he or she “didn’t have anything to do.” Now, I make sure every student has a leadership role. My school has 430 students, and I know that other music teachers might have more or fewer students. I believe student leadership roles in the music classroom have helped make the performances better and less stressful for me, because students are taking ownership in what is taking place on the stage. Finding your voice for students is big in music because we usually are working toward ensembles. But having students find their voice, musically or through a leadership role, is huge in my classroom. Many students find their voice in music before finding their voice outside of the music room. If you have ideas that have worked for you in your music classroom, I would love to hear from you, or if you have questions, feel free to contact me at [email protected]. Happy music leading!